Browse content similar to Richard Hammond's Crash Course. Check below for episodes and series from the same categories and more! Richard Hammond travels to Fort Bliss in El Paso to drive an Abrams M1A2 tank. Richard tries out three massive logging machines. 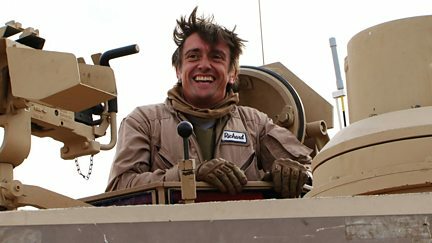 Richard Hammond undergoes some gruelling training to be a fireman. Hammond masters the track hoe, demolition machine and wrecking ball - or does he? Richard operates a bulldozer, a compactor and a scraper at a landfill site in Denver. Richard gets to grips with the big cranes that are used in salvage yards in Louisiana.